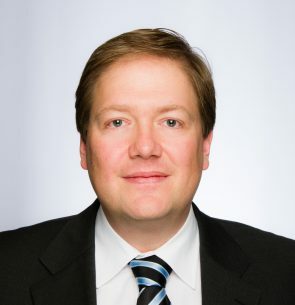 Ronald Schaefer is Assistant Director, Cargo / Ground Operations and CEIV Consulting, as well as responsible for the CEIV Pharma Program at IATA. He was born in Hamburg, Germany, raised in Mexico and educated in the US. After long-term professional assignments in Germany, Spain, Malaysia, Kuwait, Venezuela and Canada, he has been based in Miami for the last 9 years working for IATA. Before joining IATA, Mr Schaefer accumulated vast experience in the air transport field working as a consultant for Lufthansa Consulting GmbH, Roland Berger Strategy Consultants GmbH and Ferrostaal México. He has worked on corporate restructuring, strategy, post-merger integration, market and competitive analysis, safety and risk management initiatives among others, in the transportation industry. At IATA, he developed in conjunction with the IATA Pharma subject matter expert the CEIV Pharma pre-assessment tools and materials to facilitate successful independent validation of organizations. He also led the initial independent assessment Proof-of-Concept for Singapore Air Terminal Services (SATS) and is now managing the program worldwide. Since its start he has managed 222 certifications, +250 assessments and 240 validations. He is also responsible for the new initiatives CEIV Live Animal, which will officially be launched in April 2018. In conjunction with the IATA Live Animal expert, he is also developing the pre-/assessment tools for validations of organizations and managing the on-going pilots. What does the IATA CEIV Pharma program mean to you? Discover the latest news on the IATA CEIV Pharma program and the benefits it can offer both pharma and cargo/logistics companies. What has been, and what is expected to be, its impact not just within North and South America, but also globally?